The latest 4.5 snomONE version(Epsilon Geminids) has been released. This version is built on top of the Delta Aurigids. Note: This is snom ONE release (i.e., not applicable to pbxnsip customers). Also, after this version, 4.5 will become a bugfix only branch. The new features will be added to the version 5. Does this release announcement mean that the 4.5 snomONE version(Epsilon Geminids) is ready for Production Use? A statement of Production Readiness would be very helpful for the real world community. The versions that we release to the wiki are generally production ready, i.e, ran on the internal lab & production networks and some beta customers etc. Note that this may not exercise every test case out in the real world, but covers most cases. The upgrades, to most part, are smooth. But couple of upgrades have caused some heartburn. One such case is switching from 'pbxnsip' versions to 'snomONE' versions. The other case could be the trunk upgrades that we introduced on 4.5. 1- I have reg_system.htm that contain WAN PORT and SERVER DNS 1 and 2 + NTP server. Can you please point me to the documentation in that regards. 2- I have note that dom_accounts.htm display several information that are unchecked, it seams to be looking at something since the download is rolling... and finally the display become clean... Is this a normal behavior? 3- dom_accounts.htm administrator are displayed with "#" instead of " * "
4- reg_appear.htm ... Logo Link: do not seems to be working... path is html/img/Background2.jpg that use to work on previous version and not on this one, but the file is present on the directory. 1- I have reg_system.htm that contain WAN PORT and SERVER DNS 1 and 2 + NTP server. Can you please point me to the documentation in that regards. Did not understand the question here. 2- I have note that dom_accounts.htm display several information that are unchecked, it seams to be looking at something since the download is rolling...  and finally the display become clean...  Is this a normal behavior? 3- dom_accounts.htm administrator are displayed with "#" instead of  " [size="5"]*[/size] "
Yes, now you can have both system and domain administrator options. You should be seeing this page through any of the navigation links on a default installation. That's why there is no documentation on that. You would probably see this only if you directly type reg_system.htm on the address bar or have modified the HTML page templates. We have/had that page for the CS410 appliance only. I upgraded from 4.5.1075 to this version 4.5.1090, since then my outgoing calls work, but no incoming call work! I'm using 2 different trunk from outgoing and incoming. Downgraded back to 4.5.1075 and everything is working again. What is the problem? I cannot find anything wrong! Please provide us with the screen shots of trunk and SIP log of a failed call. Generally 4.5.0.1075 to 4.5.0.1090 should be a smooth upgrade. Only thing that pops out from the release notes is - "P-Charging vector: this will be set only if the older version had something set for that field." To provide the SIP logs, I will have to return back to 4.5.0.1090 to redo the test, because now I'm back to 4.5.0.1075 so we can use the system. But meanwhile I can get you the screenshots of the truck configuration as 4.5.0.1075. Do you need those for 4.5.0.1090? You can provide us with the SIP logs from .1075 and the screen shots from the same. Under the Trunk->Remote Party/Privacy Indication: Custom Headers: P-Charging-Vector:. In .1090, we are forcing it to "Don't user header" if it was not explicitly set on the previous versions. In .1075, we always send it even if it was not explicitly set on the previous versions. Here is my trunk configuration, "Remote Party/Privacy Indication" is set to "RFC3325 (P-Asserted-Identity)" and not "Custom Headers", Should I change it to "Customs Headers" and change my "P-Charging-vector" which is "Use ICID value" to "Don't use header"? Should I change anything under "Custom headers"? OR should I not use "Custom headers" and change "Remote Party/Privacy Indication" from "RFC3325 (P-Asserted-Identity)" to something else beside "Custom Headers"? Other choices I got are: "RFC3325 (P-Preferred-Identity)", "No Indication", "Remote-Party-ID" or "RFC3325, but don't hide". Based on the explanation, PBX is sending P-Charging vector under .1075 version and the trunk provider seems to like it. But in .1090, as I mentioned earlier, we do not send that header, unless you explicitly set it. So, before switching to .1090, please make a call and capture the SIP trace (basically, the INVITE that is going out to the trunk provider from snomONE). This will help you (and us) to see what is really going out to the provider. Then switch to .1090 & change the RFC3325 (P-Asserted-Identity) to Custom Headers & set P-Charging-Vector to Use ICID value & set some value under Charging Vector:. Ok the problem is when I receive call, so for this trunk I did a incoming call and I tcpdump everything on port 5060. This is done with version .1075, where do you want the tcpdump file? If the problem is with the incoming call, then please take a look at http://wiki.snomone.com/index.php?title=Inbounds_Calls. Regarding the tcpdump, please open a ticket on support.snom.com and attach the tcpdump file there. Sip Trunk are registering and working fine with version 4.3.0.5021 and giving me 200OK Status. With both version 4.5.0.1075 and 4.5.0.1090 they toggle between 200 to 408 and when at 200, giving me a busy signal on SNOM870. SIP gateway (Mediatrix 1204) have not been tested so fare. SIP Registration must be working before. If this is still an issue, can you capture a registration log between the PBX and the provider? I read that fax-to-email support will be available in version 5. Is there any timeframe when we can expect version 5 ? Where did you read that at? As much as V5 is interesting to all of us which use SnomOne already, the new licensing policy raise the question "What's about the existing licenses?" Do they lose in value? What the user will get for their snomone yellow / snomone blue? It seems that the old licensing policy was much better for the customer as the blue included unlimited extensions, full feature set, multi tenant up to 5 companies. Although the a-la-carte seems to come without pricing-information for now, I guess that some customers are really missing the delightful "flatrate" (unlimited usage) of non-extension accounts like ACD'S, hunt groups, IVR's, Service-Flags(extremely important!) and others. It makes fun, to present the customers the advantage of an IP-PBX while they have to pay only for the extensions. Building complex scenarios doesn't result in worry about licensing issues. Especially for a hosted pbx provider the new licensing policy seems to be a drop of bitterness in a very welcome V5 with the eagerly awaited Fax integration. I agree fully with Hummig KG. 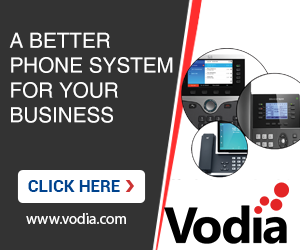 The current licensing model is what SnomOne stand out among all the various pbx. The Free / Yellow / Blue model makes it very attractive for the SMB market with Snom phones. If Snom is going to a license model like this, 3CX will look much more attractive. Please do not mess with the licensing model.